Dr. Karishma Patel completed all her educational years in Arizona. She received her Bachelors of Science in Molecular and Cellular Biology from the University of Arizona. In 2017 she graduated from the Arizona School of Dentistry and Oral Health. Wanting to venture out east Dr. Patel continued her training at a General Practice Residency at Jamaica Hospital in Queens, NY. 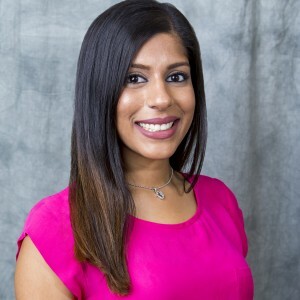 Dr. Karishma hopes to provide her patients with the best comprehensive care possible and help patients achieve their esthetic and functional goals. Currently as a general dentist, Dr. Patel appreciated all aspects of dentistry with an emphasis on cosmetic, restorative and pediatric dentistry. When Dr. Patel isn’t practicing dentistry, she practices hot yoga and barre. She loves exploring New York and finding new hidden gems to eat at. She also loves travelling, roaming around new lands and experiencing new cultures.